You don’t need to have a sailor going out to sea, to enjoy this hooked rug chairpad design by Tish Bachleda. 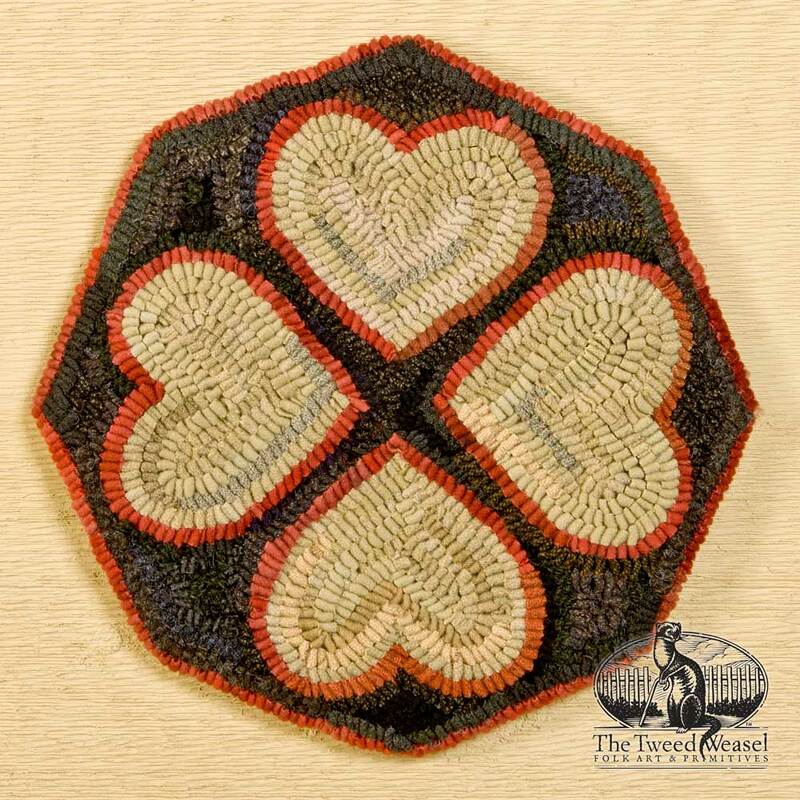 Unlike many chair pad pieces, this unique design has a distinct octagon shape around its four radiating hearts. $230.00 Add to Wish List What is this?